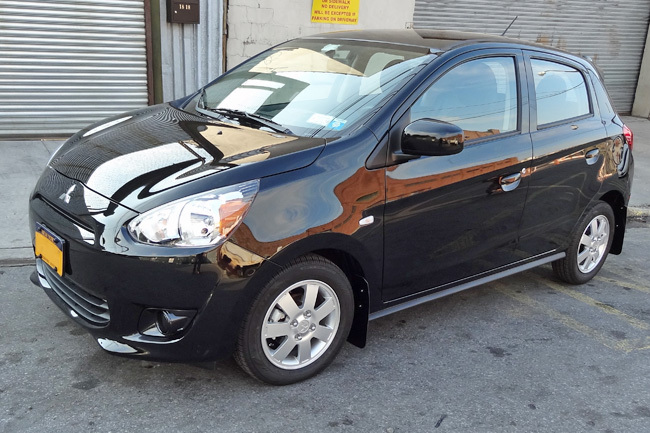 Practical Mitsubishi Mirage owners know that an investment has to be long term and lasting. Queue vehicle specific stalwart mud flaps. Taking the do it yourself guesswork out of the equation, Rally Armor has engineered an easy-to-install, staunch polyurethane mud flap application designed to do what they do best, protect vehicles against premature wear and tear from the usual damaging suspects of the open roads. Manufactured in the USA, Rally Armor polyURethane is a plastic that is known for its durability, flexibility and temperance in cold and hot weather extremes. 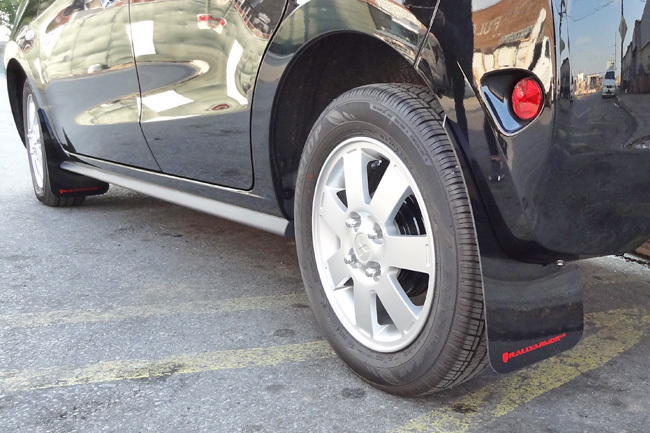 For 2013+ Mirage owners seeking a maintenance free but lasting plastic that resists warping and fading over time, Rally Armor direct fit, polyURethane mud flaps are the solution. Polyurethane is a high performance, high quality material that is tear and impact resistant. It stands up to the abusive scut of the street as well as off road rocks, grit and debris. Other vinyl and blended plastics are known to break down and age with exposure to UV, sun and snow. They wear faster, show deformation and memory. The negatives include fading and sensitivity to temperature and terrain changes. In fact, a very common complaint of non-polyurethane counterparts is the rigidity and harsh impact when the mud flaps make contact with the ground. This is where Rally Armor UR mud flaps outperform those other plastics and vinyls. They resiliently glide over speed bumps and divets in the roads. Steep inclines arenâ€™t worthy adversaries because the UR mud flaps are uniquely elastic; they soak up impact hits and bounce right back to their original form. 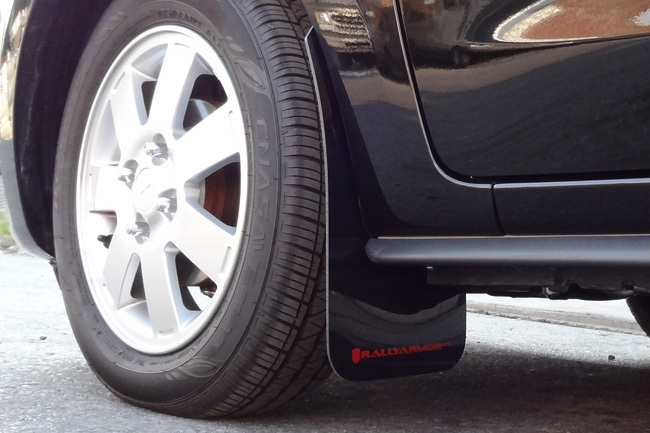 Unlike those spartan factory splash guards that actually trap debris into the fender wells and side skirts, Rally Armor mud flaps provide broad coverage. They are designed to deflect unsightly paint damaging grime away from the vehicle. 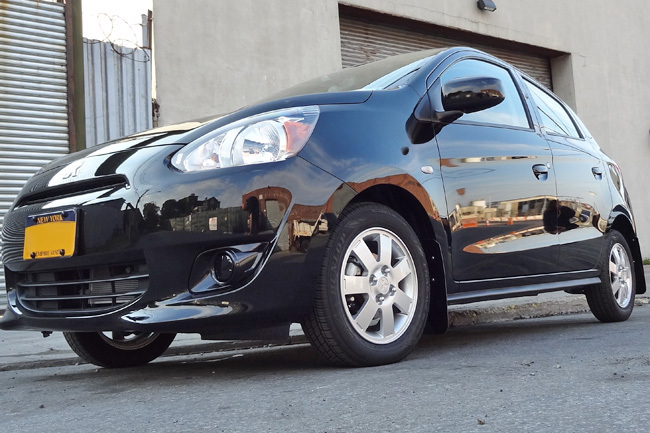 Mitsubishi Mirage owners are sure to see an immediate improvement in cleanliness, reassuring them that they made a wise investment. Less chips, less grime wearing away the clear coat and paint, less worry; protect it with the best and let Rally Armor premium protection mud flaps do what they do best. Invest wisely. 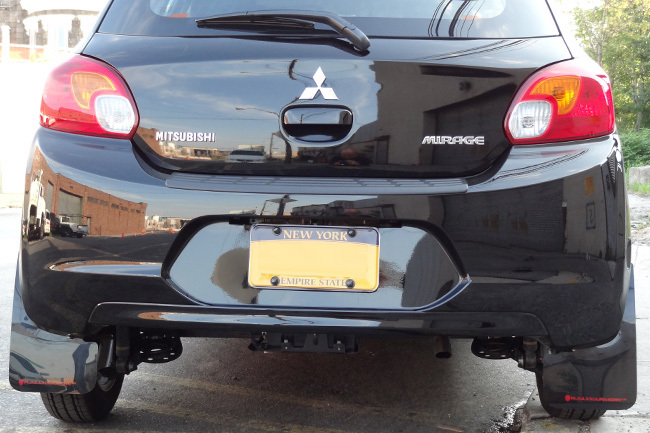 Each Rally Armor UR mud flap set for the 2013+ Mitsubishi Mirage includes 4 UR mud flaps for all 4 corners of the vehicle, mounting instructions, brackets and hardware.